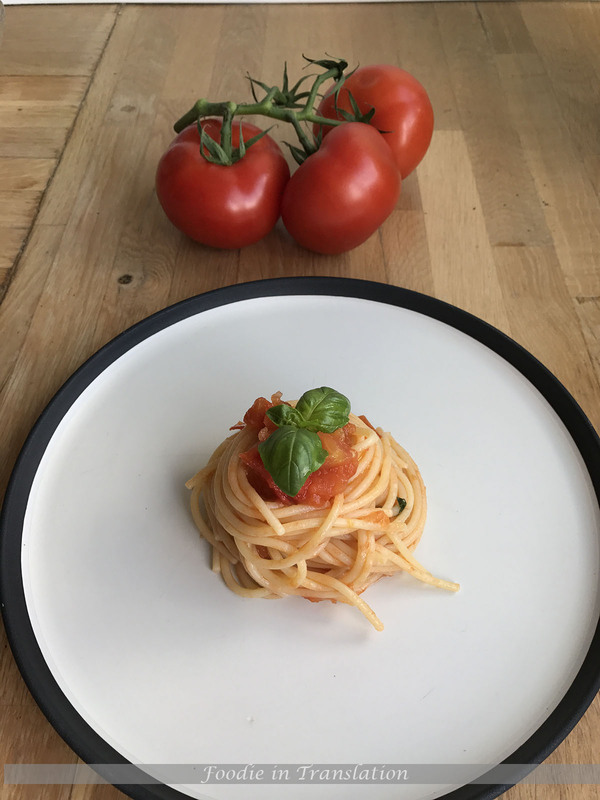 Spaghetti with tomatoes and basil is one of the most traditional Italian dishes. This dish is so easy to prepare, that you only need to follow one rule: you just need fresh and good quality products. 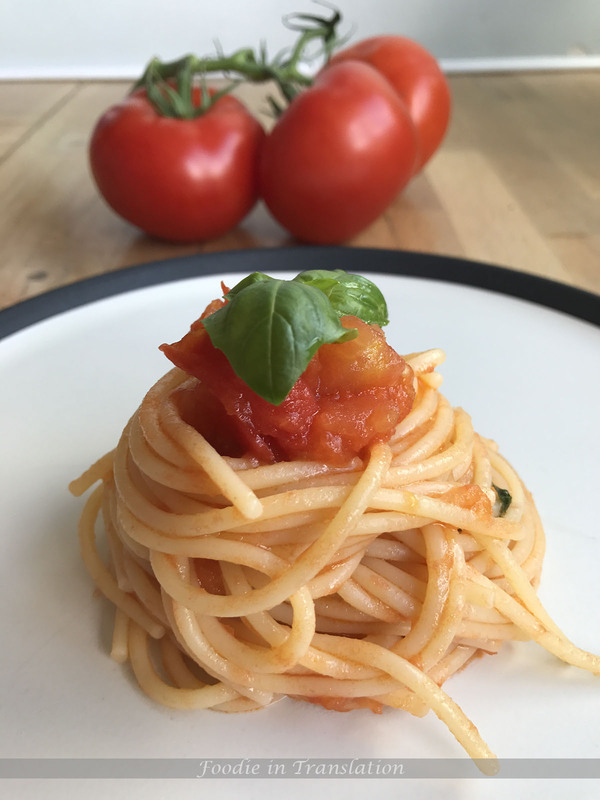 It’s summer here and this is the perfect season to prepare this recipe. 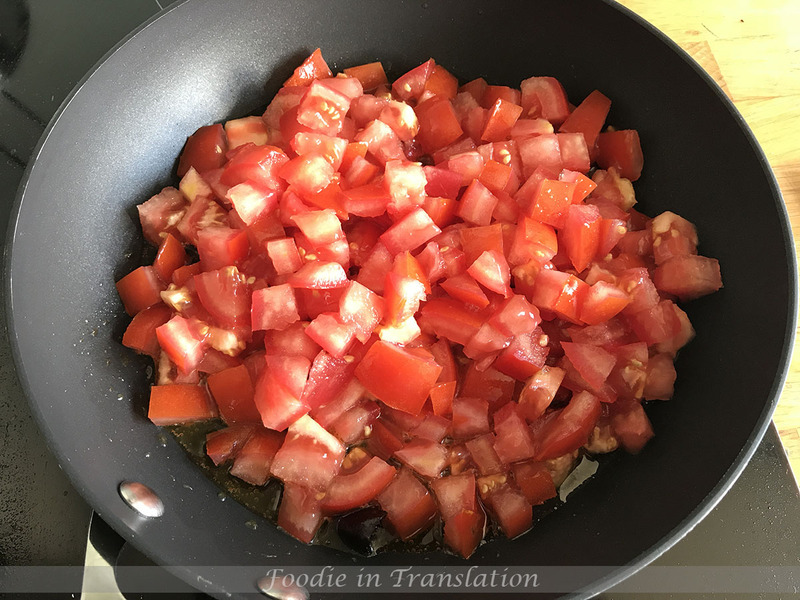 In this way, you will have a very tasty and delicious dish. Meanwhile, heat the olive oil and the chilli pepper (if you decide to use it) in a pan. until the sauce is ready (see the picture below). Wash 2 or 3 basil leafs, slice and add them to the sauce, once the pan is off the heat. 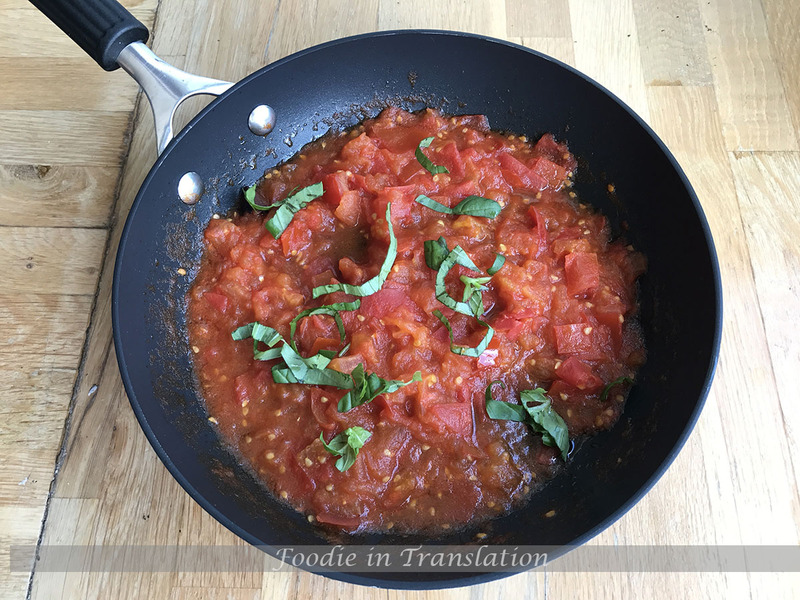 Place again the pan with the tomato sauce on the ring on a medium heat. 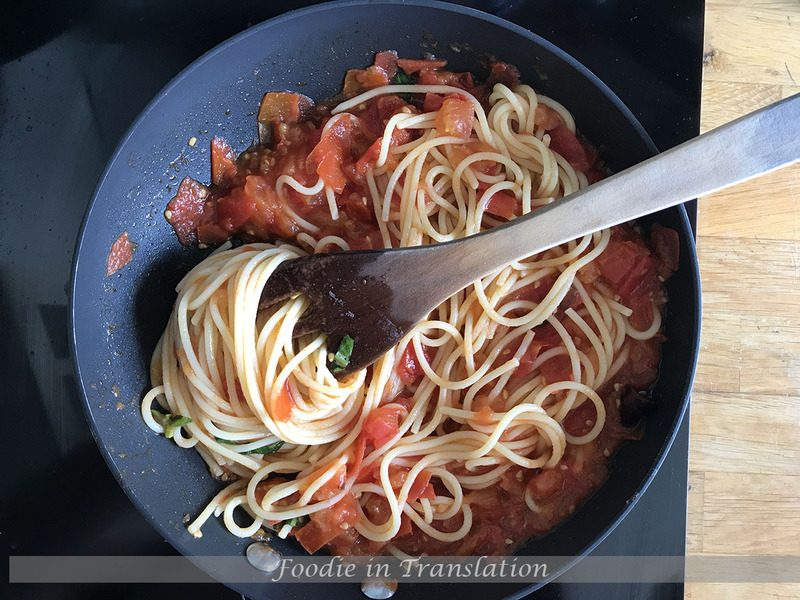 Transfer the cooked pasta to sauce, stir and toss it on a maximum heat for a couple of minutes, then remove the pan from the heat. 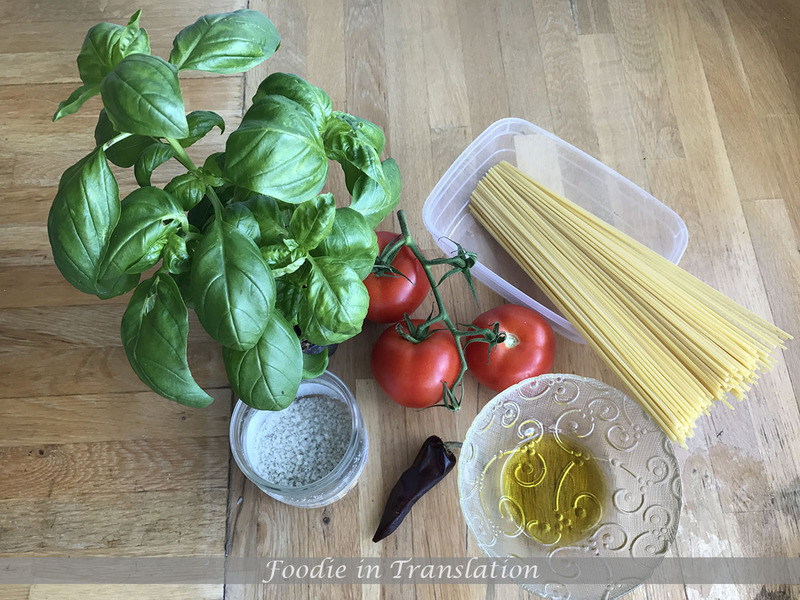 Stir and toss again, serve the spaghetti, garnish them with some fresh basil and that it!